Aired: Dec 2, 2018 to ? 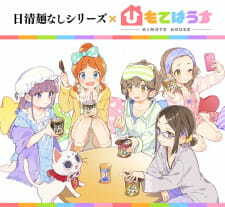 A collaboration between Himote House and Nissin. Each episode begins with an introduction by the talking cat Enishi and is followed by an ad-libbed performance by a member of the Himote House promoting Nissin's line of soup cups that substitute noodles with tofu.